The FINGER study was a 2-year study involving evaluation of the effect of diet, exercise, cognitive training, and vascular risk on seniors with cognitive decline. It was considered by experts to be a landmark study. Just what did scientists discover as a result of the FINGER study and why is it so important to the future of Alzheimer’s prevention? A double-blind trial is a trial where neither the researchers nor the patients know if they are getting an intervention or medication, a placebo, or a treatment considered ineffective. The computer gives each patient a code number which are then allocated to the treatment groups. Randomized controlled trials are considered the gold standard of scientific testing to evaluate the effectiveness of new treatment modalities or medications. They have become the mandatory standard for pharmaceutical companies in the process of determining the level of safety and efficacy for new drugs. The acronym FINGER represents the “Finnish Geriatric Intervention Study to Prevent Cognitive Impairment and Disability.” At risk seniors aged 60 to 77 were enrolled in the study. Study participants were required to be aging seniors at risk for cardiovascular complications and dementia. Those in the study group were required to have an at-risk dementia score of at least 6 points, and an average or slightly lower than age expected cognitive level. In the study, groups were randomly assigned in a 1:1 ratio to a 2 year multi-domain intervention involving diet, exercise, cognitive training and vascular risk (blood pressure & heart health) monitoring, or a control group who received general health advice. Overall, there were approximately 1200 participants divided into 2 groups of 600. Study participants were observed to see how a multi-domain intervention approach would impact cognitive health over a 2-year time span. The results of the study concluded that improved cognitive function outcomes were attained in the following categories; processing speed, attention and executive functioning. Memory also showed some improvement, but was it not as impactful as the other cognitive skills. The FINGER study also showed that those in the highest risk category genetically (with the APOE4 gene), responded more favorably to the interventions in the study, than did those without the AD risk gene. Look for updates to the FINGER study on our blog as every 6-12 months or so, new sub-studies and other analyses will be coming out. 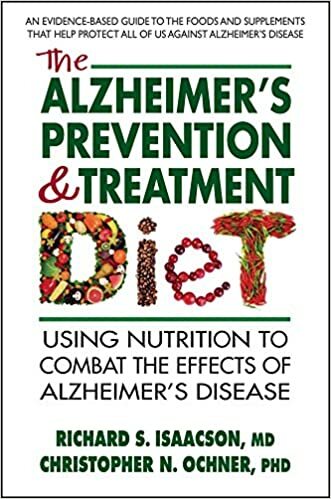 Learn more about diet and lifestyle interventions for Alzheimer’s prevention by CLICKING HERE to view the groundbreaking book, “Alzheimer’s Treatment and Prevention Diet Book,” written by Harvard trained neurologist, Dr. Richard Isaacson, M.D. For more easy to follow nutrition advice check out The Alzheimer’s Diet: A Step-by-Step Nutritional Approach to Memory Loss Prevention and Treatment, or visit theadplan.com to learn more about Neurologist, Dr. Richard Isaacson's 9 week diet plan and his cutting edge approach in the fight against AD in Alzheimer's Treatment | Alzheimer's Prevention: A Patient and Family Guide 2012 Edition. Also, sign up for the newsletter to get the latest updates in AD treatment and prevention news. » Why Eat Nuts and Seeds as Part of a Healthy Alzheimer’s Diet?